There is nothing worse than preparing a new post on your WordPress site only to get an error message due to an image. For bloggers that depend on visual engagement, this can be a potential disaster in terms of scheduling and deadlines. Waiting for a web expert or someone else to fix the issue can do damage to your campaigns and plans. For this reason, there is no time to waste on experimenting or trying new solutions. To help you resolve this issue, we’ve decided to present the most popular and most effective ways to resolve image upload issues in WordPress. Try them all and then use the one that works for you. It’s high time you took solving problems into your own hands. What about asking your host? If you don’t have a lot of experience with WordPress, we advise you to contact your host. In many cases, there are situations where hosting may prevent you from uploading an image. It’s better to be on the safe side and contact the host immediately to see whether or not you can influence the resolution. 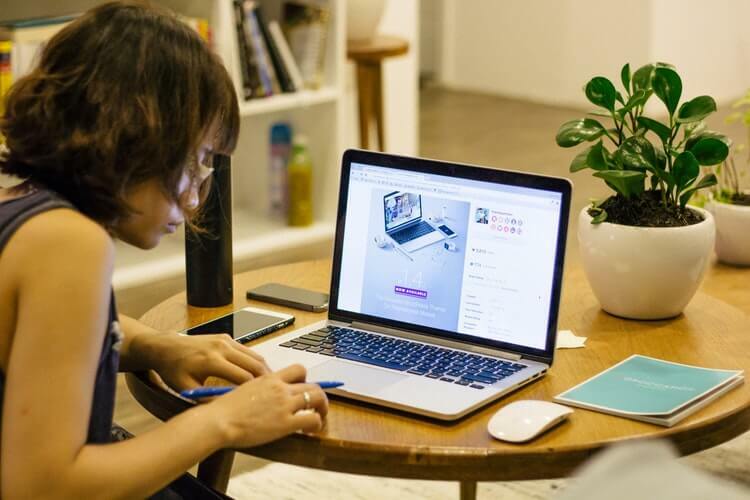 If your in-house or freelance writers are not able to deliver what you want, hire more assignment writers at EssayOnTime to write a custom complaint if it turns out that the problem is down to hosting, but isn’t easily resolved. While the host is checking the situation, you can move on to other possible solutions. Let’s take a look at how you can diagnose the problem. Is the problem occurring only when you upload more than one image? The correct solution will sometimes depend on whether your image upload consists of one image or several. If you try to upload more than 10 pictures at a time, the problem with uploading might be linked to a system error. In this case, you may wish to try uploading one image at a time. In most situations, the issue gets resolved. Remember: you, as the image uploader, have to make sure everything is right on your end before you waste time on other solutions. The problem can also stem from the fact that some of the files in your WordPress media library are corrupted and need to be restored. Use an antivirus program to scan files for corruption. Don’t worry – even some common sites can contain malware and similar issues latched onto files. Use your software to diagnose the issue. It can actually help you. 1. 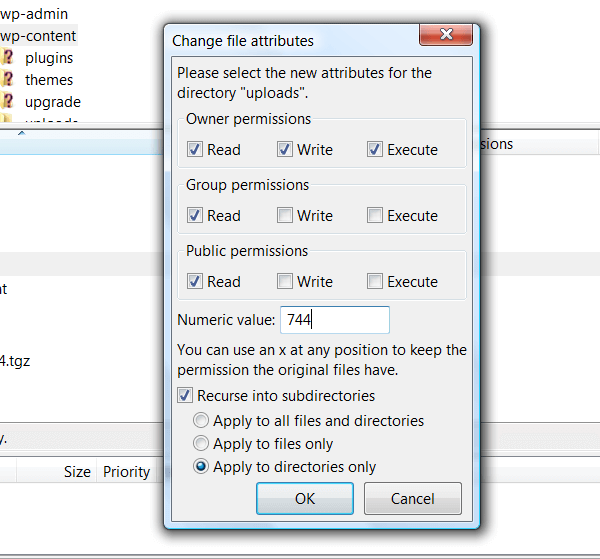 Change the WordPress file permissions. 2. Deactivate any plugin that’s active at that given moment. Interference is a common issue, especially with popular plugins that optimize images. What about problems that occur when only one image is being uploaded? 2. Make sure the resolution is decreased. Images that are too big might also warrant these errors. For this solution to work, you need an FTP client. Another way to achieve this is to access the control panel owned by your host. File upload errors often occur when the host makes updates and changes on the server. In some cases, this can cause a shift in the site’s permissions, resulting in an inability to upload images to your WordPress posts. One of the most popular extensions is FileZilla. We’ll be covering instructions mainly referring to this client, as it has been shown to be the most helpful in the majority of cases. Access the files belonging to your site. There, you will find a root directory called public_html. Next up, you have to open the wp-content folder. This is exactly where all the files you upload are located, in a folder cleverly named (you guessed it) – Uploads. Within this section, you will also find additional files and folders, mostly used to separate different types of files that are uploaded to your website. • Click Apply to Directories Only button. Once you’re done, just click okay and you should be able to upload images. If nothing changes, repeat the same steps and change the numeric value to 755. In most cases, this completely resolves any issues. If there are still no changes, enter the original numeric value you saw previously and repeat the process. Still not working? Then plugins might be the main issue holding you back from proper image upload. Let’s see how deactivating them can resolve the issue. Most bloggers using WordPress have an array of image optimization plugins. After all, the wide array of free and paid plugins is one of the reasons why WordPress is the best website hosting platform. Unfortunately, there are situations where these plugins can interfere with your code and normal processes like image uploading. Try deactivating your plugins before you attempt anything else. The solution might lie in freeing up your site’s memory limit. This situation is much more common than you think. Image upload issues tend to happen mostly when websites grow and take up more space with each post, addition, and everything else. We’re not even going to mention the number of space plugins use on a daily basis. Try turning your plugins off, one by one, until you identify the one that’s causing the problem. If deactivating one plugin fixed the issue for you, contact the developer right away. They have to be prepared for situations like this. Explain your issue and state that deactivating their plugin led to the resolution of your image upload issue. The developer will have to provide you with solutions on how to easily mitigate the problem, besides preventing it from ever happening again. What if the developer doesn’t know how to resolve the issue? Don’t use their plugin for one second more. You don’t want to trust unreliable developers with your personal information, business, and a stream of revenue. Find other image optimization plugins. There are plenty available, with some even designed specifically to take up a small amount of space for growing blogs. Plugins and hosting problems are the most common situations that cause image upload problems. Most bloggers don’t have a clear picture of how their website’s space is being used. They think that optimizing their images is of the utmost importance, and as a result, they run into problems like this. Always download plugins from reputable sources that have a long line of versions behind them. Look at the reviews to see if other people experienced the same issue you did. File permissions are often the problem, too. Use a reputable FTP client to make sure the problem doesn’t happen again. Only input numeric values that are advised to you. Typing in random numbers can cause problems with file access and other issues that even your host can’t help you with.